Please contact me regarding the 2018 Isuzu NPR-HD Gas - Stock# JS811240 for sale at TruckerToTrucker.com. Take a look at this 2018 Isuzu NPR-HD Gas. It is Stock# JS811240 at TruckerToTrucker.com. 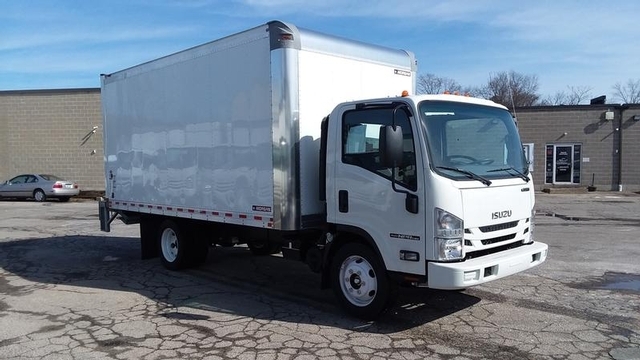 , 2018 Isuzu Trucks NPR-HD GasIsuzu Gas TruckThe 12,000-lb. GVWR NPR and the 14,500-lb. GVWR NPR-HD are available in Standard Cab and Crew Cab configurations with wheelbases ranging from 109 to 176 inches that can accommodate bodies ranging from 10 to 20 feet in length. Our Crew Cab, with seating for seven, provides seating for your entire crew.The Only Gas LCFThe 6.0-liter V8 engine produces 297 horsepower and 372 ft.-lbs. of torque. These trucks deliver torque at low RPM for effortless pulling power.InteriorOnly Isuzu offers the exclusive Hexapod design that maximizes interior space, optimizes comfort and incorporates ingenious productivity and maintenance features. The functionality of the Hexapod cab can save you time and money.